Tell us about your role at Penthera and how did you start here. For over a year, I’ve been CRO for Penthera. Before that, I spent more than two decades building and scaling cutting-edge media/marketing tech companies that push the boundaries of innovation in their industry. Today, my team and I work with the most well-known streaming media providers in the world — media and entertainment companies such as CBS, AMC, Showtime, Starz, and more, OTT players, and even brands and publishers venturing into video — to innovate and power their streaming and download experiences. We’re really focused on helping our partners and clients set themselves apart and nail the consumer experience at every level. One thing that really stands out from 2018 is Netflix launching its Smart Download feature, which allows more seamless and continuous offline viewing. When Netflix launched this feature, it was because they realized how important providing a great viewer experience really is. It’s also about discoverability; you need to take away friction and make it easy for users to discover the content that you have. Netflix is the market leader and there’s a reason why. They have great innovation and perspective: They see and do things that no one else thinks of. Along with other top players in the space, they have set the bar high for content, viewability, and discoverability. This has made it so that if other services in the space can’t get all those elements rights, they’ll get crushed. At Penthera, we focus on increasing viewership and decreasing churn, which leads to higher revenue. In such a competitive arena, it’s important to have a whole suite of solutions that can help companies innovate more and leapfrog Netflix. What is the current state of “Mobile Video Advertising” and how does Penthera fit into the landscape? More people are watching mobile video than ever before, and viewership continues to skyrocket. This means mobile video advertising will continue to thrive and grow into a big business. But due to connectivity restraints, offline viewership is becoming extremely important. Buffering, poor WiFi signal, and other playback issues are common problems that hinder sustained audience engagement. These viewability problems can cost AVOD providers eyeballs and the corresponding ad revenue that goes along with it. In the past, there has been no technology offering that enables offline ad delivery — and that refreshes ads accordingly and delivers reports on offline ad viewership. Penthera now has a product that enables this, and soon we’ll be launching this with a handful of key clients. What opportunities and challenges did you and/or Penthera identify at the start of 2018 and manage to conquer? 2018 was a growth year for us. In tune with growth in the OTT space more broadly, we began our international expansion, integrating more deeply with partners such as Liberty Global, who is also an investor, and launching clients like Brazil’s Globo. We recognize that connectivity issues aren’t US specific, and that each country has unique needs. We also got a real glimpse of this at IBC, where we spent a lot of time and had a really active presence in 2018. Taking the pulse with our recent “International Streaming Behavior Survey,” we expect to focus even more in LatAm and Europe going forward. Mirroring the US to some extent, we see mobile streaming video consumption steeply on the rise in these markets, with audiences incredibly eager for the kinds of innovations and solutions we can help our partners and clients provide. What are your predictions on the way marketing companies now apply data science to enable personalized marketing efforts? If you’re a brand marketing to your audience, the more data you have — and your ability to use that data to make your messaging more relevant — is critical. Zeroing in on what Penthera does and what we’re helping our clients and partners imagine and implement, we believe making content discovery easy is one of the most important aspects of mobile video. Viewers now have thousands of options no more than a thumb press away when they’re looking for something to watch. That means smart personal marketing using AI and other predictive technology is critical to capture their viewership. Video services who do it well will succeed, while those who don’t will find their viewers going elsewhere when looking for something to enjoy. Which new buzzword that you are keenly following and why? AVOD of course! Research shows that a large portion of audiences are willing to watch ads in exchange for good content. However, this will change over time if users are given a poor overall experience in addition to ads. In other words, if ads are intrusive, buffer, or impede viewing content, the bargain will no longer be worth it. That’s why for AVOD, it’s critical to innovate and deliver the best, least intrusive and seamless ad formats. But we also want to encourage more radical thinking for AVOD. How can we take the consideration of audience experience even further? Creative thought applied to monetization is vital going forward in our industry. Any advice to the CEOs and CMOs of tech companies? Make sure you have flexibility in your product roadmap. We’re seeing lots of companies say they’re not ready to improve the user experience because there’s no space in their roadmap. But this inability to add to or re-prioritize the plan could result in a mass exodus from your product. For mobile video companies specifically, viewer experience technology should be one of the top priorities on your roadmap. Recent research shows OTT apps experience 67% churn within the first two weeks on average. Acquisition of new users is an important part of the mobile video business, but getting users to stay is just as critical. Thank You, Daniel, for answering all our questions. We hope to see you again, soon. Penthera is a global software company that develops and deploys products facilitating the delivery of TV shows, movies and other video content over wireless networks to mobile devices. 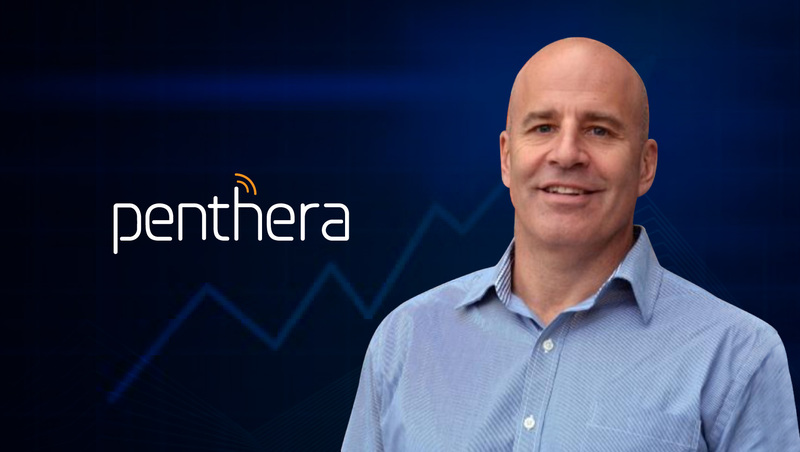 Led by Michael Willner, Chairman and CEO and Dan Taitz, President and COO, Penthera’s Download2Go solution allows consumers to watch video content when they don’t have access to a suitable internet connection. Daniel is a startup executive with a background in SaaS and digital marketing/media sales, typically hired to quickly scale business operations of early to growth stage companies. He has a track record of outstanding revenue increases at multiple startups, two notable acquisitions and an IPO, across SaaS, digital media, education technology, ad tech, martech, mobile and video-focused companies. 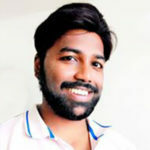 He has taken active roles in fundraising and acquisition efforts across various startups.